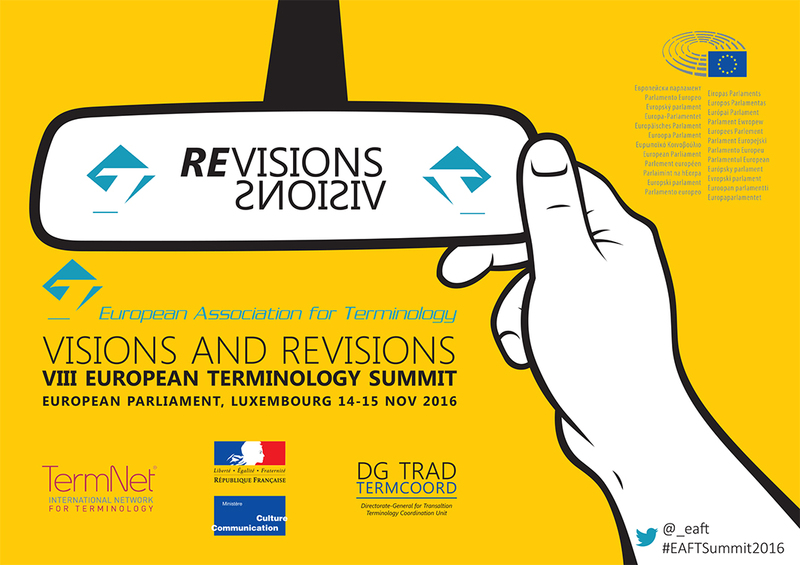 The European Association for Terminology (EAFT), in collaboration with TermCoord, the Terminology Coordination Unit of the Directorate-General for Translation of the European Commission, is organizing the Eighth European Terminology Summit in Luxembourg on 14–15 November 2016. The EAFT celebrates its 20th anniversary this year, and is using the Summit as a “good opportunity to go back and look forward at the same time, to present both revisions of the themes of earlier Summits (to see what has happened since then) and visions of where terminology needs to go from there“. The Summit will be composed around 8 sections that summarize previous themes: Cooperation & Collaboration, Social Media, Quality Matters, Responsibility, Interaction and Diversity, Terminology Profile, State Of The Art/Domain Loss, and Declaration. The organisers note that “some areas that might appear to be missing from the above (e.g. terminology training, terminology research, terminology standardization, terminology management, terminology tools) are in fact not missing, but rather they could appear in several sections“. Registration is open until the end of October only – so hurry, hurry! Click here for further information and to register.